When I was younger I recall Mum purchasing us those books that had your name in it as well as having up to 3 of your siblings. Being that there is lots of siblings in my family, Mum had to mix us all around in one another's books. I think they used to be in those catalogue that they would drop into your mailbox and you'd order them right before Christmas so it would be a beautiful personalised present. Not In Shops.com.au has brought back all those childhood memories for me, if only I still had my book from back then to be able to show Niah but I'm pretty sure that it's either a.) I ripped that book to pieces when I was younger or b.) it's made it into the trash with my Dad picking up anyone and everything and putting it into the bin or c.) it's in some keepsake box. Not In Shops.com.au kindly gifted us our own personalised book for little Niahbella. 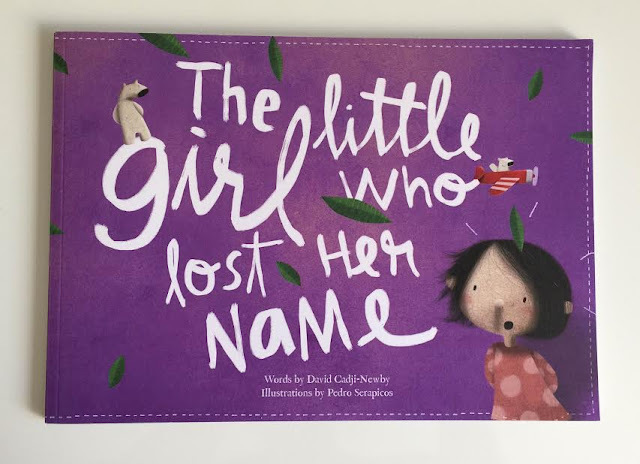 'Lost My Name' is a beautifully illustrated book that will tell a different story for each and every child. Depending upon how long your child's name is will depend on how long the story will go for. Designed for children with between 3 - 12 letters but if your child has a short name they will include two (2) stories for them to enjoy. Some extra things to make this book is to add a personalised message/dedication which will be featured on the inside cover of the book or get it sent in a gift wrap envelope. Free shipping worldwide and they are now also printing in Australia so you have an estimated two (2) week turn around. At the end of Lost My Name book they put together the whole child's name to finish the journey of finding where their name disappeared too. For kids when they start to learn what there name looks like and how to spell it out, this will be the moment that shows so much joy and excitement on their face as they see that this book has there own name in it. You can purchase this beautiful book for only RRP $33.95 - which of course like the name, they are Not In Shops and can be found on their website. One lucky reader will be able to win themselves a personalized book for their child thanks to Not In Shops and NJT Blogger collaborating for this special giveaway. 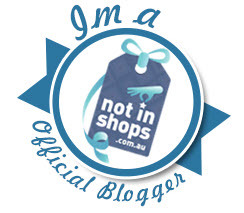 Disclosure: This post is brought to you by Not In Shops. I was gifted a Lost My Name personalized book in return for its promotion here. I received no payment for this review and all opinions expressed in this post are entirely my own. Such a beautiful book and a lovely looking giveaway. I never had any such traditions when I was growing up, but I'd love to win for Little Miss 3. This idea is gorgeous! I had pencils with my name on and I loved them! Recently bought some for my grandson who also loves them! In the 80's this didn't seem to be such a big thing. My daughters have personalised everything though! No I didn't due to nothing having my name and unfortunately I have carried that tradition onto 2 out 3 children! Oops! The only thing that had my name on it was the things that I wrote it on! My name was never able to be found and they didn't have the personalisation options that they have nowadays. My kids have a few things with their names on them - they love seeing their name in print! I have a santa book with my daughters name included in the story-she has carried on this tradition with her kids. My grandparents used to write little messages on the inside cover of the book they gave me which I've now passed to my kids and they love reading the stories I once owned. I now also write messages to anyone I give books to as presents. I didnt as it was always hard to find Kristina with a K when I was little, a little easier today though. I make my kids personalised items. I paint their shoes with their name and favorite characters (ie Finn & Jake ) also make them bracelets. It makes them feel special and unique. This is a lovely idea, never had anything like this when I was a kid. What a beautiful, personalised book! So I definitely don't want to deprive my children of something personalised :) And this book is just beautiful. I had a cygnet ring with my initials engraved on it. I gave my daughter a similar ring.